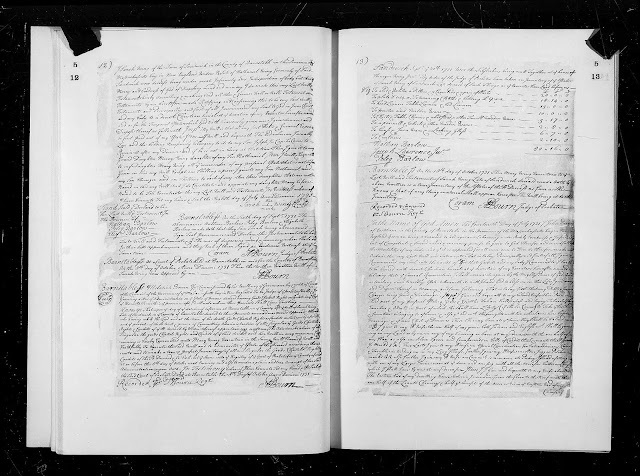 Genea-Musings: Amanuensis Monday -- 1731 Will of John Paine (1660-1731) of Eastham, Mass. 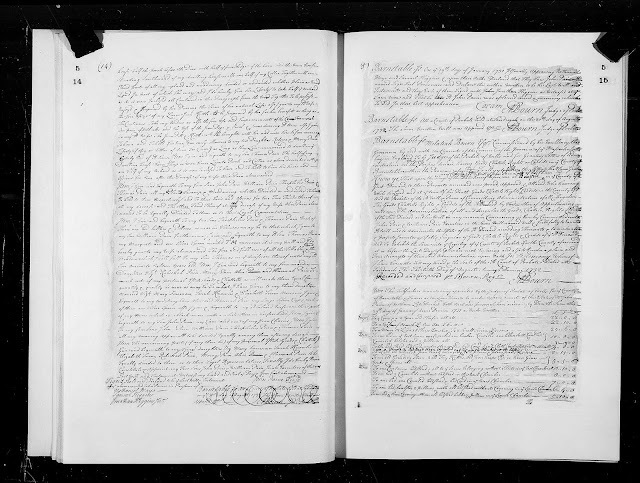 Amanuensis Monday -- 1731 Will of John Paine (1660-1731) of Eastham, Mass. This week's document for Amanuensis Monday is from the Barnstable County, Massachusetts probate documents for John Paine (1660-1731) of Eastham, Massachusetts. to be buried with decent Christian burial at the discretion of my Executors hereafter named. Marriage & the new Chest of Drawers These she may have at the price they shall be Valued. Assigns forever after the Decease of my Wife Alice Pain abovenamed. named To be Equally Divided To them or to their Legal Representatives. all my wearing apparrell to be divided Equally among them after my decease. Last Will and Testament . Witness my hand and Seal the Day & Year first abovenamed. images, Ancestry.com (http://www.ancestry.com : accessed 6 December 2016), Barnstable County, "Probate and Guardianship Records, Vol. 3-6, 1720-1747," Volume 5, pages 13-17 (images 462-464 of 882), 1731 will and inventory of John Paine. Original data from Barnstable County [Mass.] Probate Court clerk books. John Paine had two wives, and two sets of children. He had 13 children with his first wife, Bennett Freeman (1671-1716) between 1690 and 1714: John, Mary, William, Benjamin, Sarah, male, Elizabeth, Theophilus, Josiah, Nathaniel, Rebecca, Mercy and Benjamin. Of those, only John, Mary, William, Sarah, Elizabeth, Theophilus, Rebecca and Mercy were alive when John Paine wrote his will in 1731. After Bennett (Freeman) Paine died in 1716, John Paine married (2) Alice Mayo (1686-1748) in 1720. They had five children between 1721 and 1728: Hannah, James, Thomas, Alice and Hannah. The last three were alive when John Paine wrote his will in 1731. The will provides for his second wife, Alice, four sons, and seven daughters, including the three married daughters, Mary Freeman (wife of Samuel Freeman, Sarah Knowles (wife of Joshua Knowles), and Elizabeth Snow (wife of Jabez Snow). In two places, the last name of the daughter "Alice Pain" is crossed out for some reason. Alice was born in 1728, so she was only three years old at the time of her father's death. John Paine's will was proved on 19 January 1731/2. He died 18 October 1731 according to the Eastham town records, and is buried in Orleans Cemetery in East Orleans, Massachusetts. John Paine is my 7th great-grandfather. I am descended through his daughter, Elizabeth (Paine) Snow (1702-1772).